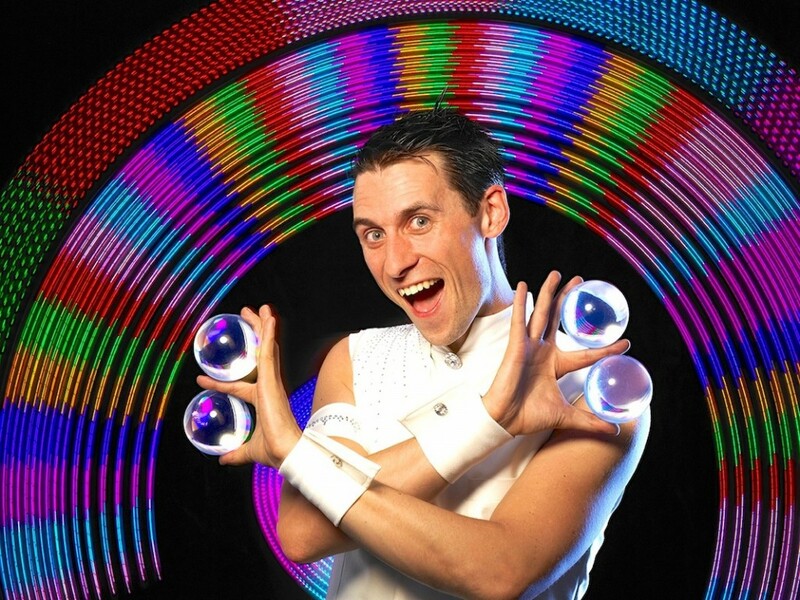 Crystals are great for dinner tables, drinks receptions, weddings, bar/bat mitzvahs and so on… His glow equipment is super bright, can be programmed to many shades of colours and certainly catch the eye! 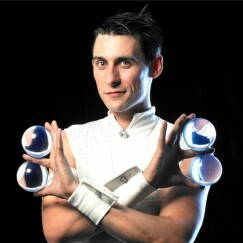 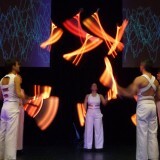 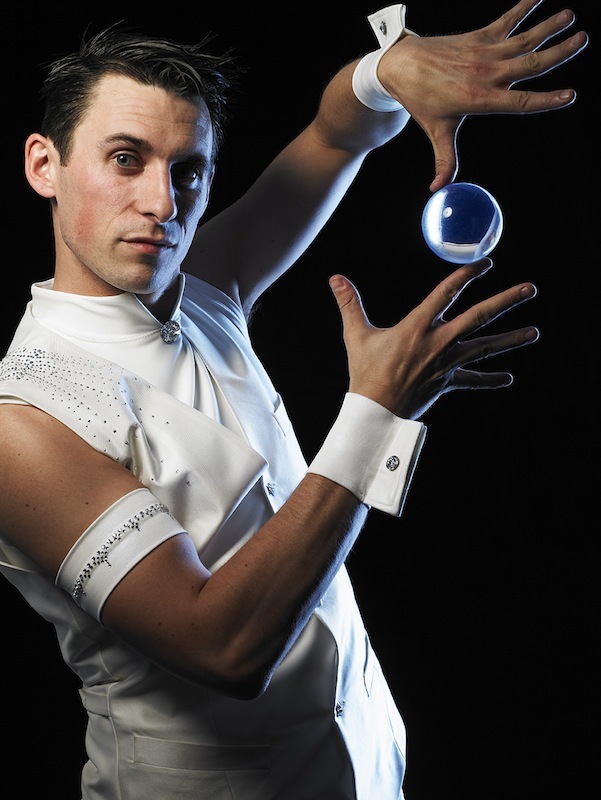 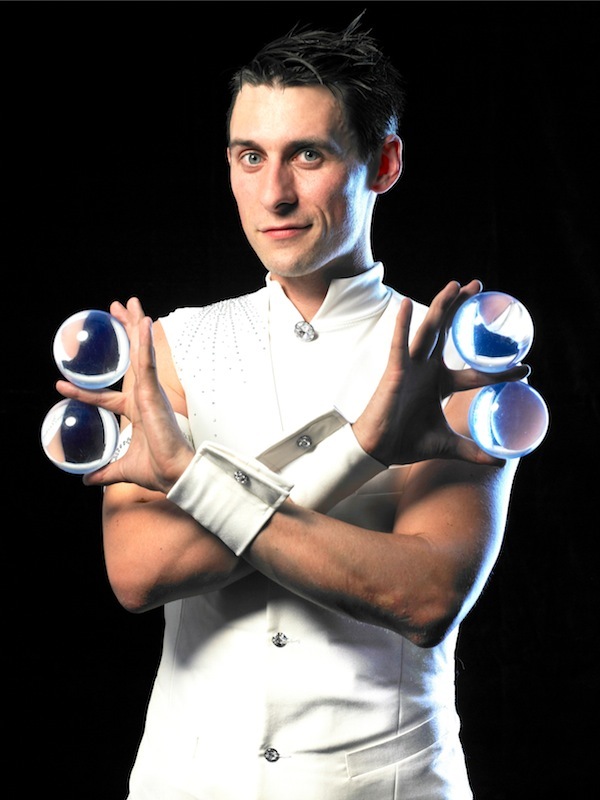 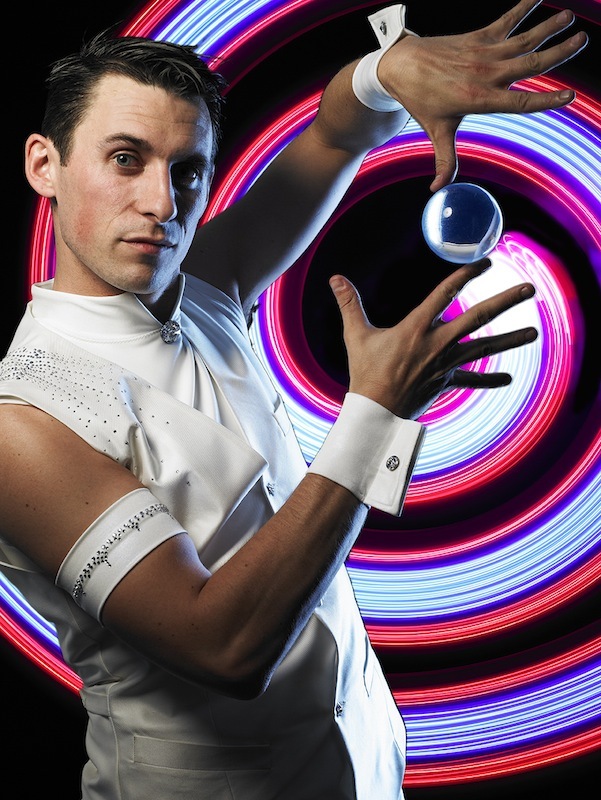 International circus performer Dave Knox delivers delightfully playful crystal ball contact juggling and highly visual glow staff & poi spinning in a crisp, white uniform perfect for indoor events. 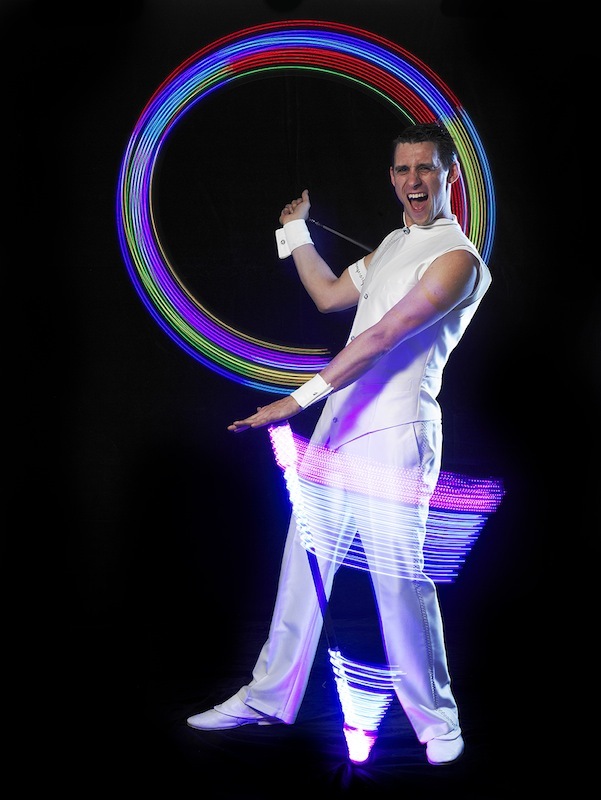 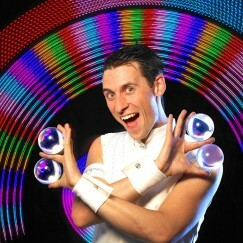 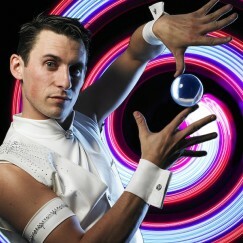 Dave will charm your guests with a dexterous display of refined circus skills. 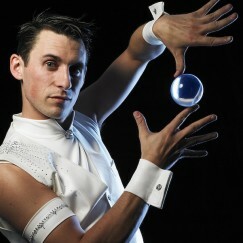 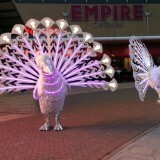 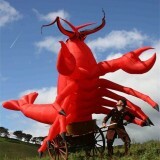 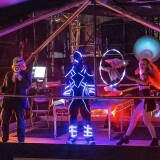 Dave has over 10 years of professional performing experience across the globe in a diverse range of events.